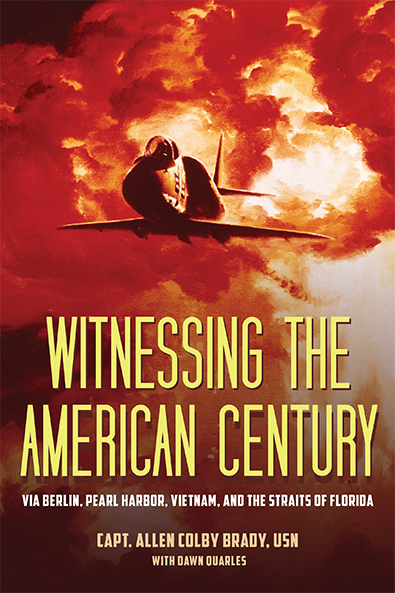 The rise of Adolf Hitler, America’s Great Depression in the heartland, the bombing of Pearl Harbor, American life following World War II, the Korean War, America’s development of atomic weapons in the Cold War age, the Bay of Pigs Invasion and the Cuban Missile Crisis, the Vietnam War, and the Mariel boatlift. Captain Allen Brady not only witnessed all of these events but actually participated in them, in many instances as a US Naval Aviator. So many Americans and global citizens alike are not even aware of the importance of these pivotal moments; as generations age and pass on, without important accounts like this one, much is forgotten. AuthorsCapt. Allen Colby Brady is a retired Naval Aviator. Throughout his thirty-plus years of service, Capt. Brady found himself in the front row to all of the major events surrounding the emerging Cold War, nuclear proliferation, America’s fight to defeat the Communists in Cuba, and, most notably, his long stint as a prisoner of war in Vietnam. Following his retirement, Capt. Brady lived for over six years aboard a sailboat, even using his sailing expertise to liberate exiled communities of Cubans in the early 1980s. Dawn Quarles graduated from the University of West Florida with a degree in social studies. She is a blogger and the author of the memoir Aprils and Decembers.